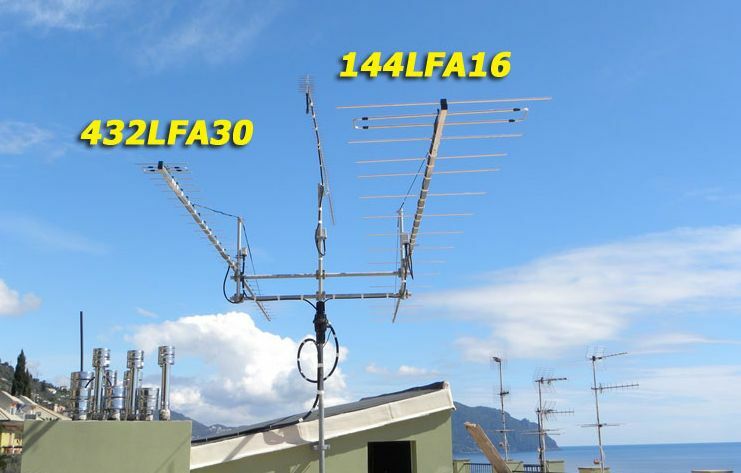 LFA Yagis differs a lot from the traditional Yagi design. 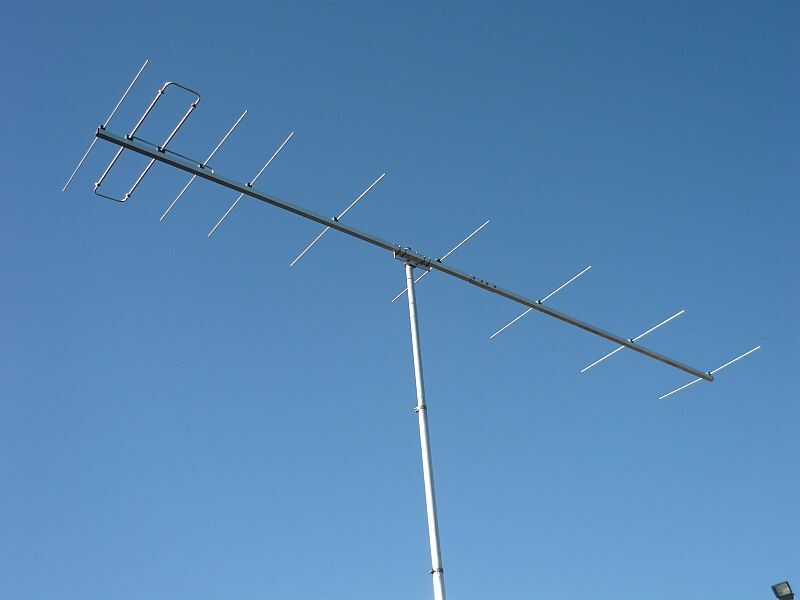 The LFA ("Loop Fed Array") has a rectangular dipole with 1λ length. The dipole lies flat on the boom at the same level as the parasitic elements. 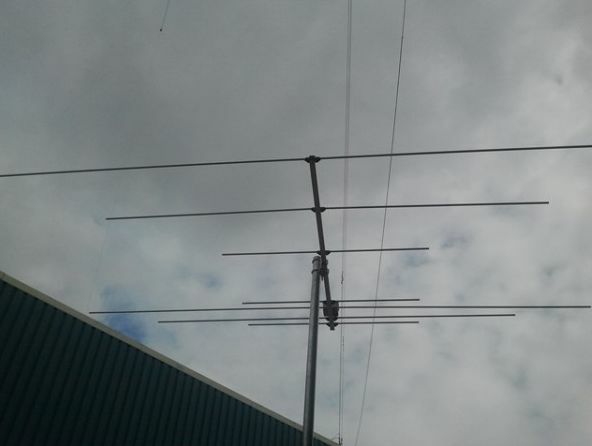 The outer sides of the dipole run parallel to the boom and are designed to be exactly inversely phased (±180°). This way signals eliminate each other on those sides resulting in much reduced side lobes, lower G/T values and a better front to back ratio. This concept can be applied at almost any boom length. LFA Yagis have 50Ω impedance and get by without lossy transformation. 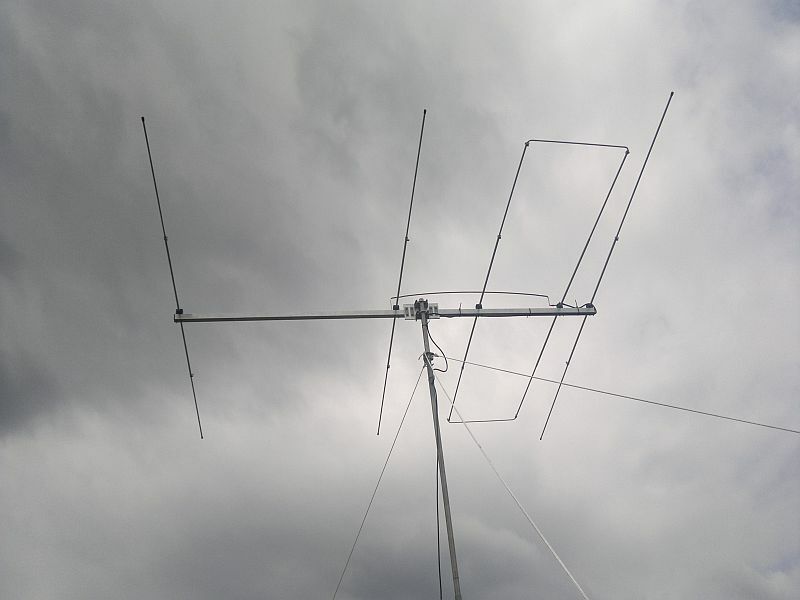 Our 2m, 2x16ele LFA crossed yagi attached to a 13m dish at the EME 2014 conference in Pleumeur-Bodou (France). After the QSOs it was a gift and the first prize of a lotery among all attendants of the conference. Shipping Dimension 17 x 11 x 255 cm t.b.d. As with the 2m antennas, 430MHz directional antennas are manufactured according to the LFA concept. 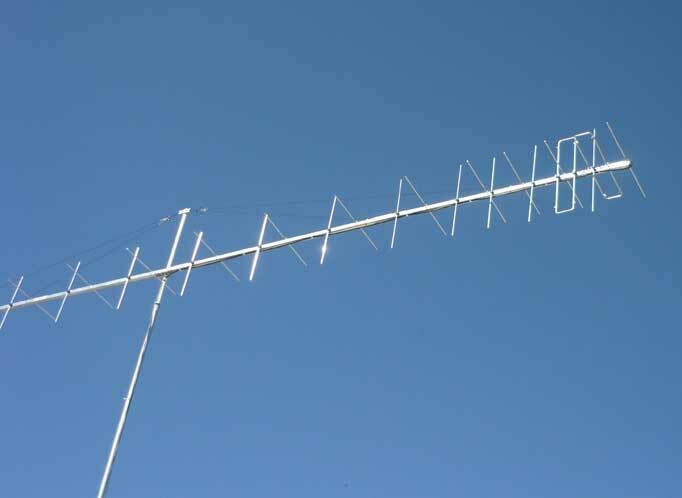 Duoband antennas consist of two monoband antennas that are nested in each other on a single boom. Therefore only one coax cable is required for feeding. 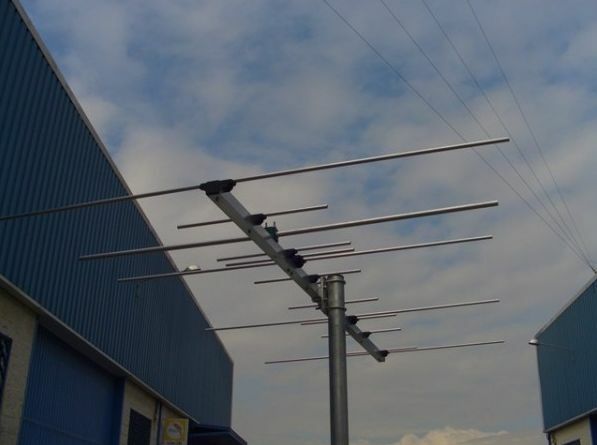 As with the 2m antennas, 50MHz directional antennas are manufactured according to the LFA concept.